A pretty-boy esthetic popularized by K-pop idols in South Korea is helping to fuel the $7-billion Korean cosmetics industry. Not only is makeup for men already mainstream, industry experts say it's only trending upwards. It's not about scruffy, or swarthy, or rugged. For men, it's all about that "chok-chok" radiance. The de rigueur look in South Korea, literally translated as a "dewy" glow, has long been associated with femininity. But a pretty-boy esthetic popularized by K-pop idols is helping to fuel the $7-billion Korean cosmetics industry. Not only is makeup pour homme already mainstream, industry experts say it's only trending upwards. After parking his car in an alley in Seoul's Songpa district, 26-year-old Young June Park demonstrated his regimen. 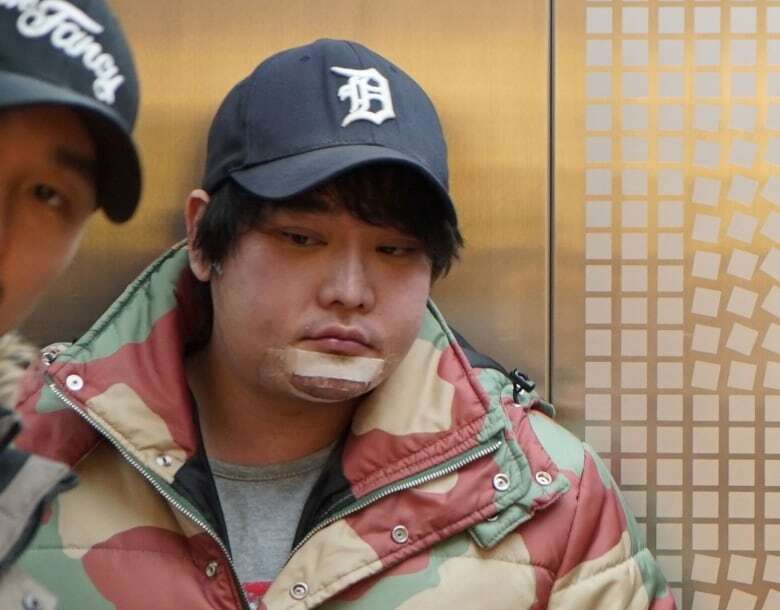 He started with a 10,000 won ($12 Cdn) tube of limited-edition Tony Moly tinted BB cream, or "blemish balm." He squirted a dollop onto a pink applicator sponge: "Just a puff," he said. Then he blended with a practiced efficiency using his rear-view mirror. The actor, model and restaurateur said he wears BB cream for job interviews, when hitting the clubs, and definitely on a date. It smoothes his complexion, fills in his pores and protects his face from ultra-violet rays. Skin care is big business in South Korea, where the K-beauty industry is estimated to be valued at around $7.2 billion, built largely on pricey formulations such as "snail mucin," or purified snail slime. Millennial men are helping to drive sales and reportedly spending more per capita on skin care than men anywhere else in the world. South Korea accounts for about one-fifth of the global market for male cosmetics. 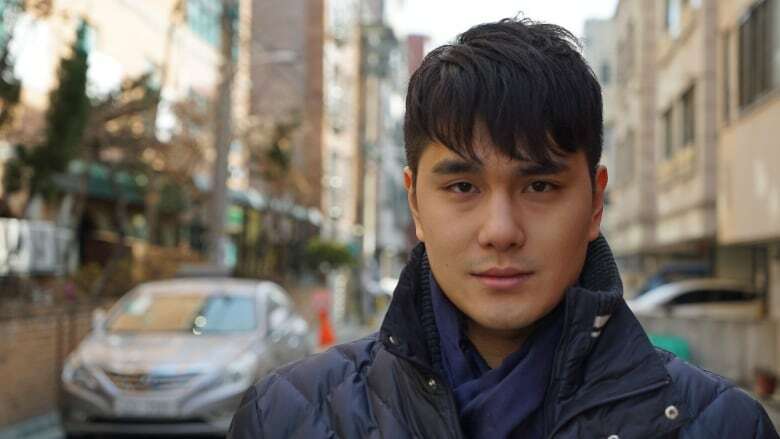 David Cho, who co-founded the Soko Glam Korean beauty website with his wife Charlotte, said male cosmetics has nothing to do with sexual orientation. Just as "metrosexual" now sounds like an antiquated term for a man who appreciates grooming and fashion, Cho said, it could be a matter of time before the male makeup movement goes outside Asia. "I do believe men in North America are just behind on this," he said. The trends in Korea are defying heteronormative expectations in a society sometimes viewed as socially conservative and where traditional gender roles often prevail. Military service is mandatory for men, and K-beauty is so much a part of the culture that designer camouflage is available to servicemen seeking a gentler product, possibly with skin-tightening properties. 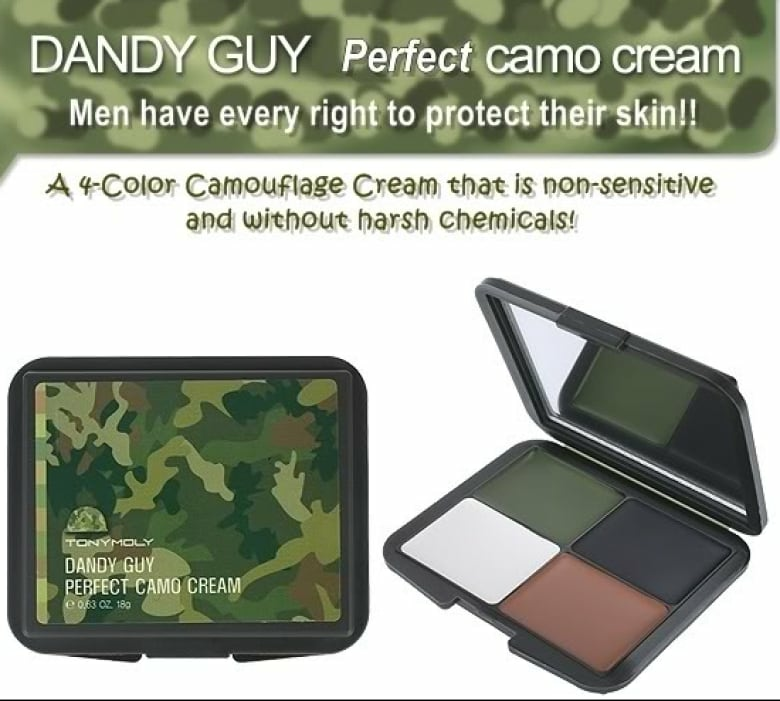 Park, scrolling through his phone, recited the names of some popular brands of Army camouflage: "Dandy Guy Perfect Camo Cream," he said. "And this one has some SPF: Extreme Power Camo Cream." At cosmetics shops around Seoul, men's sections feature posters of male models with alabaster skin, shaped eyebrows, and what looks like more than just a dab of lipstick. Male idols include the 40-year-old actor Won Bin, described by the news culture website Korean Exposé as "boyishly handsome," and the 32-year-old actor Song Joong-ki, who reportedly attributes his fair complexion to washing his face with milk every night. 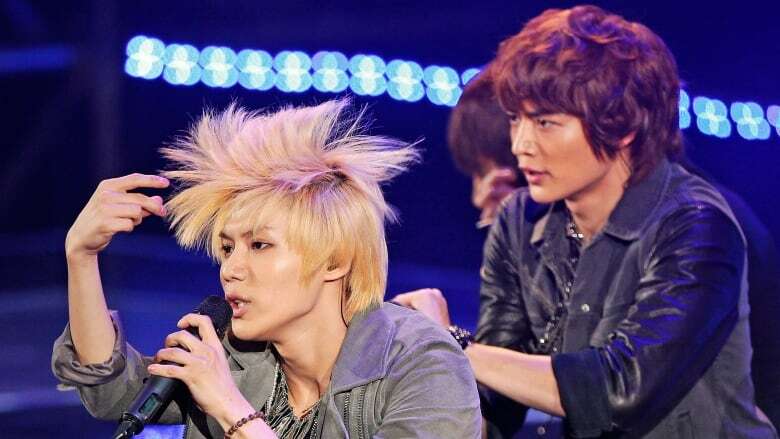 As well, the four 20-something singers in the boy band SHINee are known for wearing eye makeup. On a visit to Seoul last month, male grooming commentator David Yi, founder of the Very Good Light men's beauty website, said he saw multiple Army servicemen carrying cushion compacts — BB cream in compact form — on the metro. "Generation Z no longer sees this gender binary," Yi said. "Young men are really into their eyebrows, into their hair, and they'll always put on BB cream." He said South Korea's ethnic homogeneity might have bred a hyper-competitive culture in which "your skin, your appearance can give you a leg up." And a youthful face can project energy and professional obedience. Job applicants are usually expected to submit headshots with their resumes in a country that's known as the plastic-surgery capital of the world. A 2015 report by the International Society of Aesthetic Plastic Surgery estimated that surgeons performed around 20 procedures per 1,000 people in the Korean population. Walk through the fashionable Gangnam neighbourhood of Seoul and it's likely you'll see people walking in and out of the district's many plastic-surgery clinics with bandaged noses, eyes and chins. 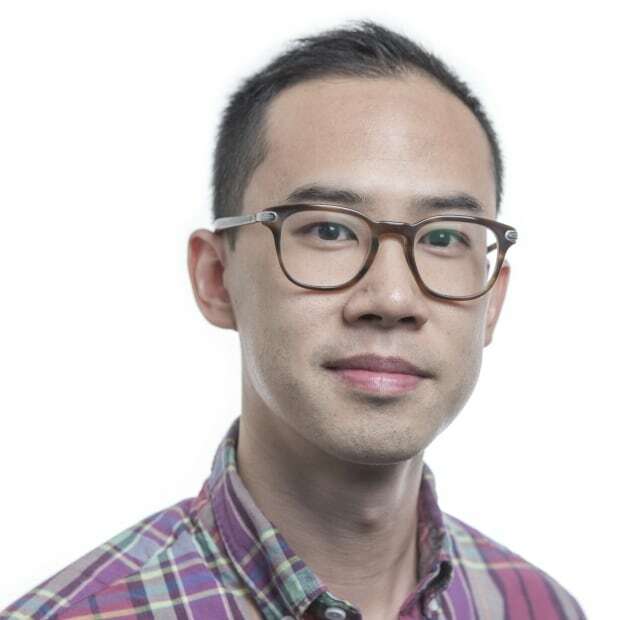 "Tall nose, bigger eyes, and a chiselled jawline are very popular for men," said Tony Medina, the Canadian CEO of Seoul Guide Medical, a medical tourism company in Gangnam. Western "macho" ideals aren't as conventionally beautiful to many South Koreans, he said. "You don't have to be 250 pounds of rock-hard muscle to be macho," he said from one of his clinics. "Macho can mean you take care of your skin." In Seoul, skin-perfecting BB cream is so ubiquitous that many men don't even consider it makeup. In fact, Medina revealed, "I'm wearing BB cream right now. A mixture of BB cream and almond cream." "Very natural!" remarked a friend and client who was visiting the clinic, a 29-year-old Canadian YouTube celebrity in South Korea who only goes by the name "Haeppy." Haeppy dismissed stereotypes about men who wear makeup. "It's like, 'He's wearing makeup, he must be gay,'" said Haeppy, whose YouTube channel has a 300,000-strong following in South Korea. "It's not that situation here at all. After I started shaping my eyebrows and ended up putting makeup on and stuff when I go out to clubs, it's completely different. It's ridiculous, really, the attention I'll get from girls." The YouTube star's co-host and business partner, Xander, who was also at the clinic, quoted a line from the film American Beauty to explain the trend: "In order to be successful, one must project an image of success."